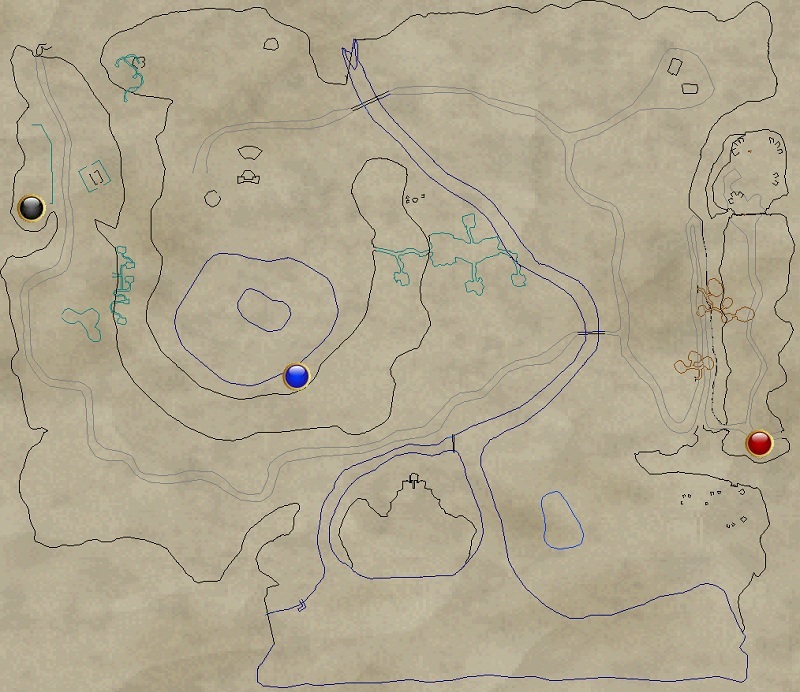 Head back to Kassailla and hail her for this quest update (as shown by on map). Head to the graveyard shown by on the map. At 1 am game time (use /time in game to determine the current game time), 5 NPC's will spawn here. Invis and walk over to them. The High Shaman will start a ritual to charge the crystal we are after. Note: You have to run up to it when it is spawned, you can not sit at its spawn point or you will get no emote. Important: you must wait to kill him until you see the line 'Excellent, the crystal is fully charged now. We must make haste back to the keep!' As soon as you see this phrase, kill the High Shaman, and loot the Humming Black Crystal from his corpse. This event will despawn at 5am game time. Return to the quest give and turn in the Humming Black Crystal for quest completion (as shown by on the map).